Owner of Sydney-based Precision Group Shaun Bonétt is looking to sell a $400 million, 50 per cent stake in MacArthur Central, Brisbane, and Adelaide Central Plaza, South Australia - two of Australia's top retail assets. Precision Group established in 1994 by Shaun Bonétt has owned Adelaide Central Plaza since its development and opening in 2000 and MacArthur Central for the last 10 years. Precision Group’s CEO & Managing Director Mr Shaun Bonétt established a management team over the last 23 years headed by ex-Westfield and Woolworths senior executive Mr Trevor Dill. Mr Bonétt has appointed JLL's Simon Rooney to sell the stakes. 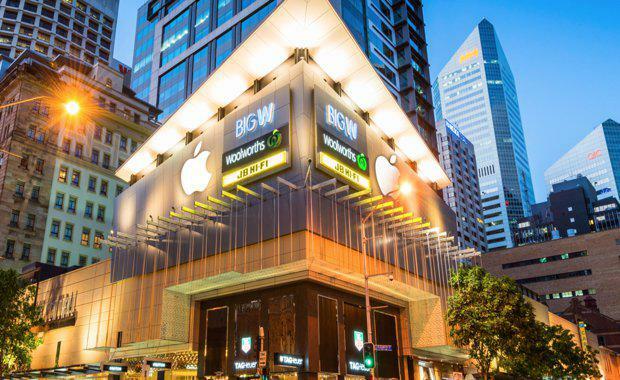 MacArthur Central is anchored by the only full-line Woolworths supermarket in the Brisbane CBD, a Big W discount department store and Australia’s largest Apple store, providing a total gross lettable (GLA) of 15,085 sqm. Top CBD Transactions past 18 months: JLLAccording to JLL Research, there are just 12 Australian CBD shopping centres of over 15,000 square metres in size nationally, both assets are represented within this select group. Adelaide Central Plaza is a high quality, luxury based major CBD shopping complex, anchored by a strong performing 22,922 sqm David Jones department store, in addition to Chemist Warehouse and Tiffany & Co mini-majors, 44 specialty shops and kiosks, providing a total GLA of 27,801 sqm. Adelaide Central Plaza sits in the epicentre of Adelaide’s super-prime retail precinct, perfectly positioned to attract new international retailers as they seek to establish flagship stores in the South Australian market. The centre also holds the prospect of having a future residential tower being developed above it. “The drivers of CBD retail trade continue to remain strong and are being fuelled by booming international tourism and the steady inflow of international retailers. There is now significant potential for owners to capitalise on this increasing demand for limited prime CBD retail space from new and existing international retailers, each trying to establish and grow in the Australian market. “MacArthur Central will benefit from a surge in population, with apartment supply in inner-Brisbane expected to peak in 2021 with the opening of Australia largest casino resort, as well as a dramatic increase in the amount of student accommodation that is currently coming online. Growth in the resident population will further broaden the demand for different retail categories, such as groceries, household goods and services," he said. MacArthur Central boasts a luxury brand precinct including Oroton, Tag Heuer, Hardy Brothers and Hugo Boss.